If you belong to the sky, come to FAA the aviation specialist for more than 21 years for the Pilot courses that provides the wind to your wings and aspirations. The sky has just got wider with the opening up of national and international sky routes. The demand for the pilot license holders is again growing stronger and the aspirants can now actually see their dreams flying to reality. FAA, with its specialization in aviation and extensive experience in national and international pilot training is among a selected few in India and is proving to be a perfect launch pad for pilots with its International associations for the best possible Pilot training. The job of a pilot is a highly specialized one. It requires knowledge of air navigation, interpretation of meteorological reports, operating sophisticated electronic and mechanical controls, leading the aircraft under adverse circumstances, and being a leader to the flight crew and passengers under climatic and other emergency situations. You will be responsible for the passengers, the crew and the aircraft. Hence you must have discipline, patience, responsibility, punctuality, commitment and self-confidence. At FAA the aspiring pilots can expect to receive the best guidance for the pilot’s License Examination conducted by DGCA, Govt. of India, at the lowest possible cost with the advantage of being taught by the professionals holding the licenses from DGCA who readily share their experiences with the students that enriches them and come handy in their overall performance. SPL is issued to a pilot in training, and is a pre-requisite for the student to fly alone in the aircraft, or solo and people who dream of flying but couldn’t pursue their dream due to any reason can do hobby flying with student pilot license. An oral exam is conducted by the CFI after which the SPL is issued to the Student Pilot. (a) he shall fly at all times under the authority and supervision of a Flight Instructor or an Approved Examiner. (b) he shall fly under Visual Flight Rules only. (c) he shall not carry passengers, animals and goods or fly for hire, reward or remuneration of any kind. (d) he shall not undertake cross-country flights unless he has a minimum of ten hours of solo flight time and has passed the examinations in Air Navigation and Aviation Meteorology. 10th Pass out from ICSE/CBSE/State board. At least 16 years old for enrollment and 17 years old for graduation. If you’ve always dreamed of flying but thought you’d never have the time to get your pilot’s license, think again! Flytech Aviation Academy will work with you on your schedule to help you achieve your dream you can fly with SPL (Student Pilot License) as hobby flying. Whether it be for business or pleasure, getting your pilot’s license gives you the benefit of traveling where you want to go when you want to go there. There is no need to hassle with the inconvenience of being just another passenger on a commercial airline when you can reach your destination on your terms… in comfort and style! Air Regulations: Including flight rules, air traffic control practices, procedures and regulations concerning operation of aircraft. Air Navigation : Including elementary principles, use of aeronautical maps and charts, time, magnetism, magnetic compasses, simple navigation and simple flight –planning. Aviation Meteorology : Elementary aviation meteorology including significance of aerodrome warnings, elementary knowledge in reading of met charts, met procedures, relating to cross country flights and salient features of Indian Climatology. Technical aspects of aerodynamics and theory of flights, aircraft, engine, instruments, operating limitations, handling, care and pre-flight inspection. Radio Telephony ( F.R.T.O.L) : Including transmission and interpretation of aural signals and operations of radio telephony apparatus on board the aircraft. Written and Flight examination fee. 10+2 pass out from ICSE/CBSE/ State board in Maths and Physics. Commercial Pilot License -CPL, benefits students to join airline companies as pilots. Our CPL is rated as one of best in India , with our students working with major Airline Companies. Professional Pilot Course will qualify you as a Commercial Pilot. Special emphasis is placed on Instrument flying, cross-country flying, advanced commercial maneuvers and terminals airspace. Course completion time 18 Months(also depends on performance of student). It is a dream of millions of Indian youth to become a commercial pilot and fly high in the sky of success. There are many CPL training institutes who train the pilots in India. Flytech Aviation Academy (FAA) was established with a clear vision to provide the best possible Commercial Pilot Training to the students who want to take it up as their career. Flytech is known for its most effective and advanced ground training and flight training for all the young budding professionals in the Indian aviation industry. Flytech Aviation Academy is a one stop solution for the students as it supports them from the zero level till getting the Commercial Pilot License (CPL). The group of trained professionals and the faculty members assist the students in training to be a Commercial Pilot and in the paper work required for submitting to DGCA for getting the license. Students will be given training for DGCA Examination in the following subjects in addition to the PPL syllabus as required. Air Regulations : Aerodrome search and rescue, rules concerning air transmit, customs, health, knowledge of communication and navigational facilities. Air Navigation : Theoretical and practical navigation. Air Meteorology : Basic knowledge of aviation, weather codes and plotting, elementary synoptic meteorology including simple interpretation of weather charts and meteorological procedures relating to aviation. 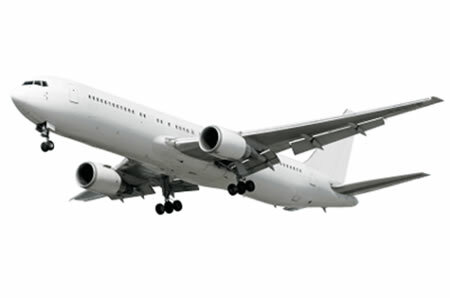 Aircraft and Engines : General principles and elementary knowledge of design, construction , maintenance and operation of aircraft, engine, instruments, ancillary systems, emergency systems, installations equipment, basic knowledge of fuel, lubricants, loading of aircraft, weight distribution and its effect on flight characteristics. Radio Telephony ( C.O.P.R.T.R) : Including transmission and interpretation of aural signals and operations of radio telephony apparatus on board the aircraft. 2 Hours of Cessna 152 flight tests. Flying includes circuit landing, general flying, instrument flying, cross countries, day /night flying and skill tests.